Thank you for your interest in my inaugural newsletter. Scroll through to see what I have been doing in Sacramento to represent you and the residents of the 24th Assembly District. The Legislature successfully advanced policies and secured funding to address some of the state’s most pressing issues in 2017, including housing affordability, transportation infrastructure, climate change, and election transparency. As we in the 24th Assembly District know all too well, California is in the depths of a severe housing crisis. In Silicon Valley, we’ve been very successful at creating jobs, but have failed miserably at creating the housing needed for the employees who fill those jobs. Homes in once middle-class neighborhoods now sell for millions of dollars. The limited housing supply keeps costs rising and is tearing apart the socio-economic diversity of our communities. The Legislature passed, and the Governor signed, a package of 15 bills that will improve the supply and affordability of housing in California. This includes a new permanent funding source for affordable housing, as well as a $4 billion housing bond, including $1 billion for veterans housing, which will be on the June 2018 ballot. This is the most progress California has made on housing policy in decades, but is still just a down payment towards addressing the housing crisis. As Bay Area residents, we are all too accustomed to long hours in the car immersed in traffic on some of the worst quality roads in the country. With the signing of the Road Repair and Accountability Act of 2017, the state made its first major investment in repairing California’s crumbling infrastructure in 22 years. Over the next decade, $54 billion will be invested in fixing roads and bridges, enhancing public transit, and improving bicycle paths and pedestrian walkways throughout the state. There are several projects already underway in the 24th Assembly District. Nestled between the Pacific Ocean and the San Francisco Bay, the 24th Assembly District is especially vulnerable to climate change and, in particular, sea level rise. 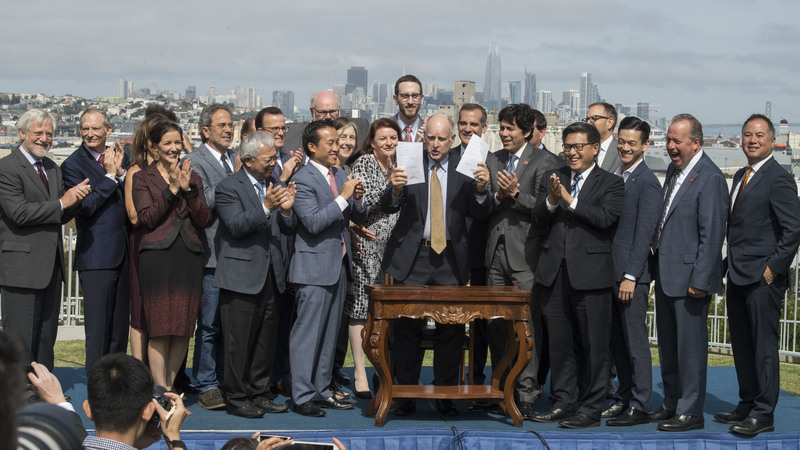 With strong bipartisan support, California reaffirmed its commitment to reducing greenhouse gas emissions and protecting our planet by extending California’s world-renowned Cap-and-Trade Program, a decision applauded by both environmentalists and the business community. I heard your calls, saw your tweets and Facebook messages, and read your letters – all in support of Assembly Bill 249, the California Disclose Act, a bill I was proud to be a principal co-author of. As a result of your tenacious advocacy over the last seven years, the Legislature finally passed the measure, which requires campaign advertisements to disclose the top funders of those ads in a clear and conspicuous manner. While the Legislature was particularly successful this year, California’s challenges persist, and I know that there is much more work ahead. 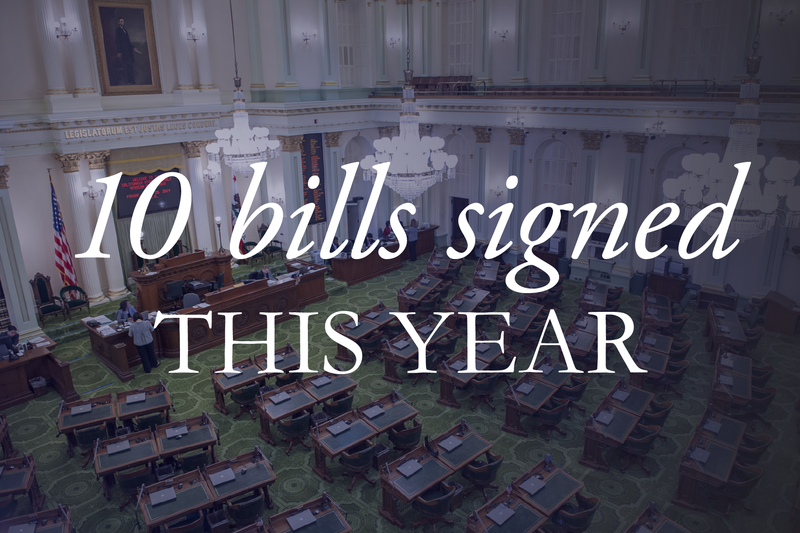 Similar to the success of the Legislature, I too had success with my own bills – 10 of which were signed by Governor Brown. Assembly Bill 184 extends the use of the statewide sea level rise database so local governments can coordinate and California can respond effectively to the impacts of climate change. Assembly Bill 669 continues testing of green trucking technologies to improve road safety and reduce greenhouse gas emissions. Assembly Bill 733 equips communities with a funding mechanism to invest in climate change adaptation projects. Assembly Bill 1294 reaffirms California’s commitment to post-consumer recycled plastic by preserving a truth-in-marketing law for plastic food containers. Assembly Bill 868 promotes vocational training opportunities to enhance California’s workforce. Assembly Bill 323 employs technology to connect families to emergency food providers by allowing counties to use a 2-1-1 telephone referral service. Assembly Bill 606 modernizes the state voter information guide and develops a new tool to electronically communicate with voters. Assembly Bill 1367 strengthens the initiative process by making it a crime for an employer to direct or permit a signature gatherer to make a false claim about a petition. 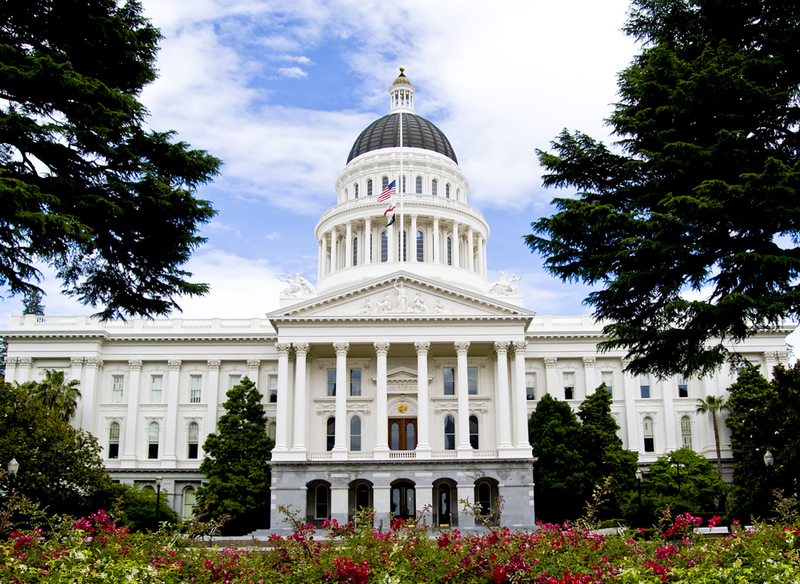 Assembly Bill 644 furthers California’s effort to make legal proceedings more efficient. Assembly Bill 976 modernizes California’s court electronic- filing and service process. I also had the privilege of joint-authoring Assembly Bill 1312, the Sexual Assault Survivors’ Bill of Rights, with my colleague Assemblymember Lorena Gonzalez Fletcher. It was my honor to introduce Assembly Concurrent Resolution 37 to proclaim April 24, 2017, as California Holocaust Memorial Day. On that special day I was joined by Ruzica Herman Krstic, a Holocaust survivor who was born in 1941 to a Croatian Jewish family. Though most of her family died at Auschwitz, Ruzica survived the war by going into hiding with her mother. Today she serves not only as a witness to appalling human cruelty, but as an example of the human ability to endure. I was also proud to introduce Assembly Concurrent Resolution 73, which declared May 6, 2017, as Moyamoya Disease Awareness Day in California, in an effort to bring this treatable disease to light and to prevent unnecessary suffering. This year was not without disappointments, however. Much to my surprise, Governor Brown vetoed two of my bills, which sought to increase mental health services for those most in need and to prevent the growing number of youth suicides in our communities. I care about deeply about these issues and will continue working on them in the years to come. I am also continuing my efforts started in 2017 to ensure there are key protections for students who attend private for-profit colleges. In 1960, California developed a visionary plan for higher education known as the Master Plan. Though our systems of higher education – California Community Colleges, the California State University, the University of California, and private, non-profit colleges – are envied and emulated around the country, we owe it to both current and future generations to ensure that the Master Plan, which has guided the state’s higher education policy for the last 57 years, prepares students to work in the 21st century economy. Much of the success of our higher education systems can be attributed to the Master Plan, but there have been significant changes since it was written – population growth, increased diversity, technological advancement, and new leading industries have altered the needs of students, changed the field of education itself, and boosted the demand for higher education. Advancing education has been a priority of mine prior to coming to the Capitol through my work with the Silicon Valley Education Foundation. When I arrived in Sacramento, despite advice from my more senior colleagues not to take on too much too soon, I requested the creation of a select committee to review the Master Plan. Today, as Chair of the Select Committee on the Master Plan for Higher Education in California, I am convening five informational hearings across the state. 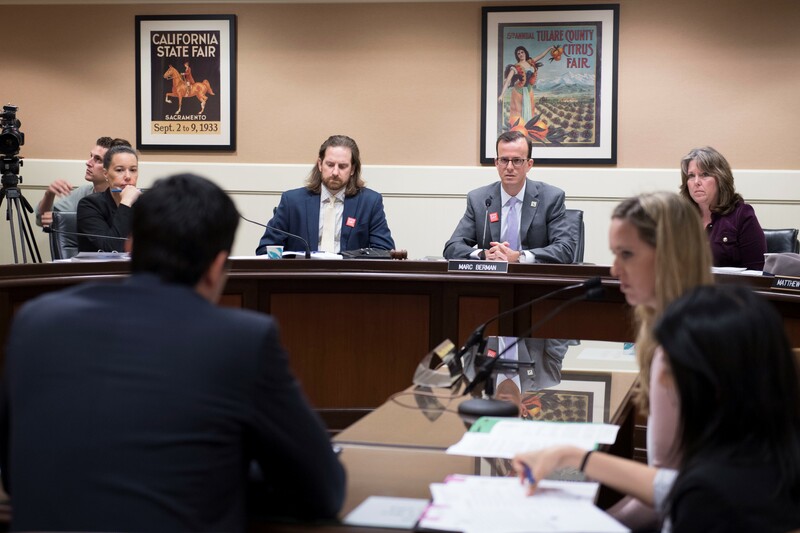 Earlier this year, we held our first hearing in Sacramento on the current status of higher education in California. Most recently, the Select Committee met at San José State University to discuss California’s workforce needs with higher education and industry leaders. Topics for the next three hearings include: students’ needs, faculty and staff, and cost and funding. These hearings are the first step in a multi-year effort to ensure that we have a Master Plan for today and for the future. 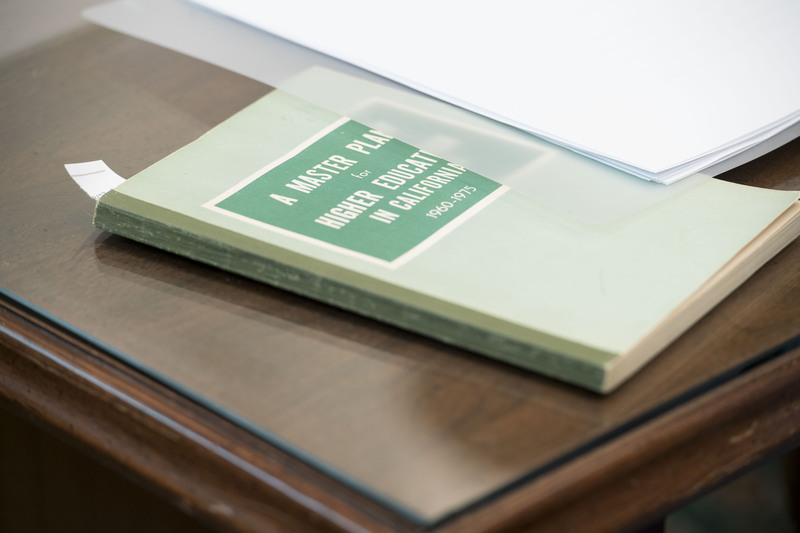 The 1960’s Master Plan promised students an accessible, affordable, and high quality higher education. I want to make sure we can deliver on that promise once again. This year, I was proud to work with Senator Jerry Hill and Assemblymember Kevin Mullin to secure $4 million in the state budget for the Butano Channel Restoration and Resiliency Project. 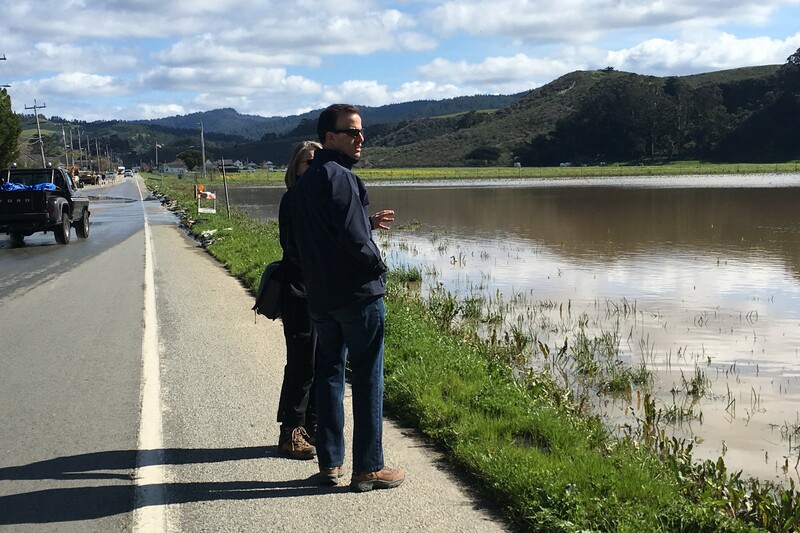 The Project, which will be administered by the San Mateo County Resource Conservation District, will help to achieve several goals, including: reducing the severity and frequency of flooding in and around the Pescadero community; allowing for easier fish passage up through the Pescadero Marsh and Butano Creek; and preventing yearly fish kills. Thanks to the efforts of the San Mateo County Resource Conservation District and others, the Project is now moving forward with tremendous community support and input. For more information, please contact Kellyx Nelson, Executive Director of the San Mateo County Resource Conservation District, at kellyx@sanmateorcd.org, or call (650) 712-7765. In April, I was appointed Chair of the Assembly Committee on Elections and Redistricting. As a wave of renewed attacks on voting rights washes over the country, I am committed to making it easier for Californians to vote – not harder. California must lead the nation by improving transparency and participation in our elections. And I am pleased to say we did so this year, by enacting the nation’s toughest disclosure law in the nation – the California Disclose Act – and stopping proposals that would have created new barriers to voting. Please refer to the Committee’s 2017 Legislative Summary to learn more about the Committee’s work this year. This year I had the honor of recognizing a number of distinguished individuals, organizations, and businesses for their contributions to the 24th Assembly District. I had the pleasure of recognizing Rita Mancera, Executive Director of Puente de la Costa Sur, as Woman of the Year for her public service to the San Mateo County South Coast. Puente offers 40+ programs related to health and wellness, immigration and citizenship, workforce training, education, and youth leadership and development. 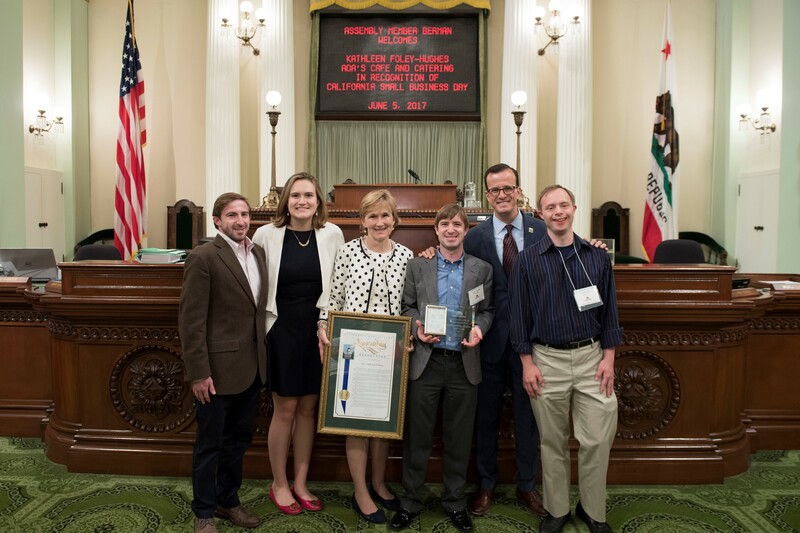 It was also my privilege to honor Kathleen Foley-Hughes of Ada’s Café and Catering in recognition of California Small Business Day. Ada’s Café and Catering provides purposeful job opportunities for adults with developmental disabilities…and delicious food for its customers! In recognition of California Nonprofits Day, I honored Philippe Rey on behalf of Adolescent Counseling Services, which has improved the wellbeing of youth in San Mateo and Santa Clara counties since 1975 by providing counseling, substance abuse treatment, education, and support for teens and their families. It was also an honor to recognize Duncan MacVicar of Los Altos as Veteran of the Year. Duncan served in the Vietnam War and has since been an advocate for mental health screening and treatment for veterans. He has also worked diligently to establish Veterans Treatment Courts as an alternative to traditional incarceration. 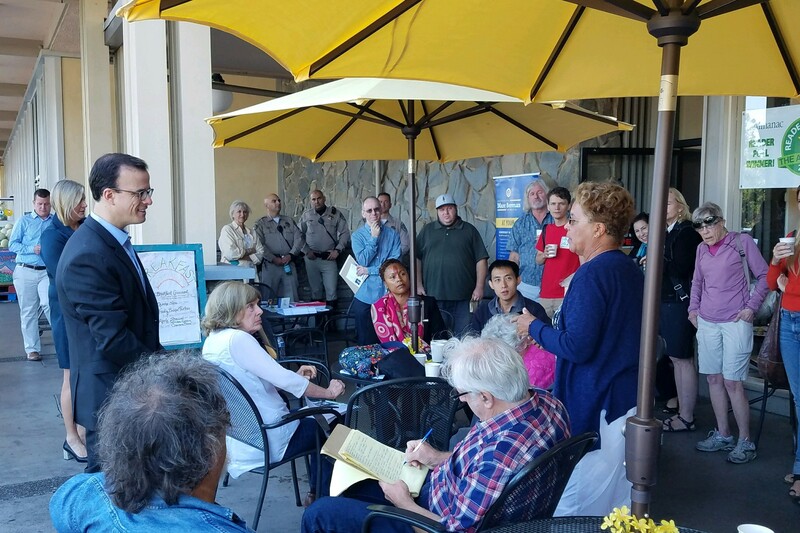 Throughout the year, I hosted community coffees in every city in the 24th Assembly District. It was a pleasure visiting with all of you and I appreciate the time taken out of your busy schedules to attend. Please visit my website, follow me on Twitter and Facebook, and be on the lookout for future e-alerts and newsletters for information about upcoming events throughout the district.